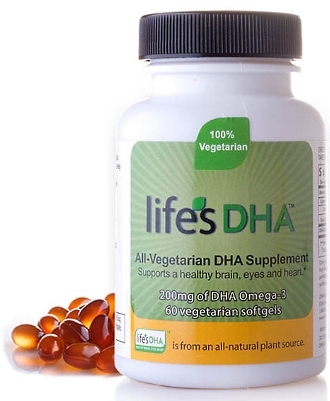 When children take 600 milligrams of DHA from algae every day, they sleep for 45 minutes longer. British researchers at the University of Oxford report this in the Journal of Sleep Research. The researchers suspect that the omega-3 fatty acid enhances the biological effect of the sleep hormone melatonin. The researchers gave 362 children aged 7-9 years for 16 weeks every day a placebo or 200 milligrams of DHA. The researchers used an algae-based product from DSM Nutritional Products. DSM sponsored the study. The researchers had 43 children wear an actigraph at night, a device with which measures if someone is sleeping or awake. In that group, DHA increased the average sleep duration by 46 minutes. In contrast, the amount of sleep of the children who received a placebo decreased by 12 minutes. The researchers questioned the total group of 362 children about their sleep quality, but had to conclude that the supplementation had virtually no effect. "These results are in line with the existing literature", the reserachers wrote, "as there are already some reports of associations between poor sleep outcomes and low blood concentrations of omega-3 long chain poly unsaturated fatty acids [J Sleep Res. 2013 Oct;22(5):569-7.] [Am J Clin Nutr. 1995 Oct;62(4):761-8. ], as well as some preliminary research indicating benefits for sleep from fatty acid supplementation in children with behavioural problems [Eur J Clin Nutr. 2011 Oct;65(10):1167-9.]." "Importantly, these findings also fit well with theoretical mechanisms, as DHA is the main omega-3 found in the brain and fatty acids are involved in sleep regulation via melatonin metabolism [J Nutr. 2008 Sep;138(9):1719-24. ], with increased DHA : AA ratios related directly to the increased secretion of melatonin [Nutr Res. 2012 May;32(5):309-19.]." "This provides a potential physiological explanation for our finding that DHA supplementation improves sleep continuity and duration." "The treatment effect observed in the pilot actigraphy for these children was substantial, at almost 1 hour of extra sleep per night on objective measurement", the reserachers wrote. "The physical, mental and social benefits that would be expected to follow from such an improvement are profound." "This is suggestive that future work in a clinical sample of children with sleep problems would be justified." J Sleep Res. 2014 Aug;23(4):364-88. Worriers will sleep better and feel better about themselves if they take an extract of Melissa officinalis, according to a small human study. Boys who have ADHD sleep a little better if they take 400 mg L-theanine. Researchers at the University of Pittsburgh followed 184 healthy men and women aged 58-91 for an average of 13 years.